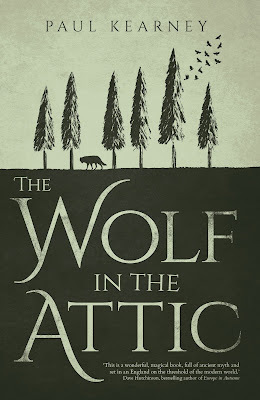 To help promote Paul Kearney's latest, The Wolf in the Attic, I invited the author to write a guest blog for the Hotlist. For more information about this title: Canada, USA, Europe. So I’m sitting here puffing on a pipe and looking out at the sea (grey, whitecaps, unseasonably grim), and the only noise aside from the waves outside is the ticking of a clock and the occasional mmmpf and snuffle from the two dogs asleep at my feet. 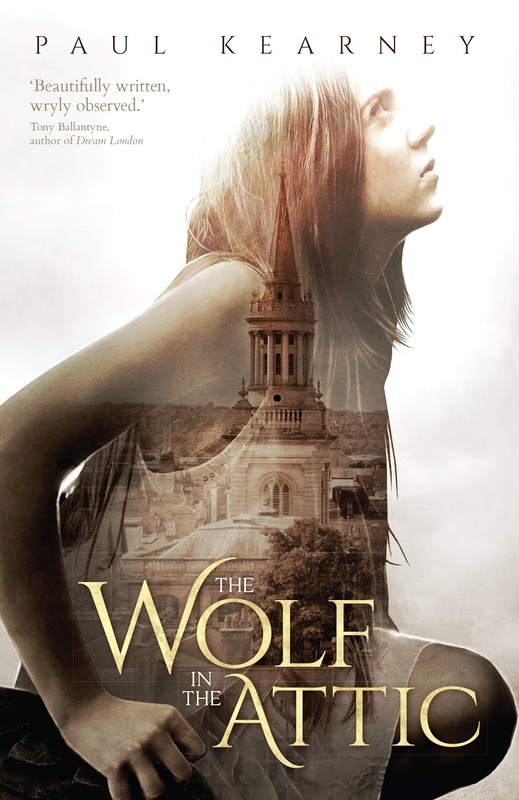 As I type, it’s the day before the publication of The Wolf in the Attic, which will be the twelfth book of mine that Solaris have published, and the one which, far and away, I am most nervous about. Even after twenty-five years in this game (now there’s a number to make me pause), I can still get that light-in-the-stomach tightness at the thought of a story of mine going out there into the big bad world, like a man sending his daughter off to college in the sure knowledge that all men are bastards. And there’s the rub – in the end, writing is about the reader as much as the story or the person who writes it. It’s a two-way street, and I’m riding up it on a tricycle while my potential readership is thundering towards me in a Mack truck, tooting the horn and throwing empty beercans out the window. Advance copies of the book have been sent out to quite a few folk via NetGalley, and I have definitely noticed a change in my audience with this one. For one thing, the vast majority of those who have reviewed the novel thus far have been women, which is a new phenomenon for me, it must be said. In my past books, mostly about soldiers, kings, armies and wide-spanning wars, the female readership was in a minority. And I have been accused of misogyny before this, a charge which I hope this book refutes for good. I didn’t set out to appeal to a certain audience; I never have. I just had a story that was in my head and had to get out. All authors go through this moment of profound doubt as the work they have painstakingly slaved over is about to be pushed off the diving board (I’m really mixing up the metaphors this morning). Up to now they have seen it as a work of profound genius (usually while writing the last line), or as time goes on and the revisions are piled in, it descends into a noisome swamp of mediocrity. So, dear reader, as you pick up a novel in a dusty old bookshop, (or download it to your kindle), no matter what you end up thinking of the story, spare a thought for the poor old author who took the time to sit alone day after day, for months on end in this gregarious world, and laboriously type out one word after another in the hope that they might somehow make sense to someone, anyone – that an anonymous, unknown reader out there would see those words and go; Yes! That’s right! That’s pure alchemy, when that happens, the little miracle which makes it all worthwhile. Thanks for sharing your thoughts. As a somewhat critical reader I probably don't finish more novels than end up on my 4+ stars shelves on goodreads. As a guy who has made a weak hobbyist attempt at plotting and writing my own novel, I respect the efforts of even the novelists whose work I don't finish, because they've accomplished something that I've failed at. Hope your newest effort finds that magic with a large readership! Thanks for the guest post. It is good to hear something from you after so long. Since your website has been gone, it has been hard to find much by or about you on the Internet. And the news that I could find usually involved one setback or obstacle or another to you getting your works published and into the hands of readers like me who can't wait to read more. I did get a copy of Wolf in the Attic from Netgalley, and I will be sure to put my review up in the next day or so. In short, I loved it. 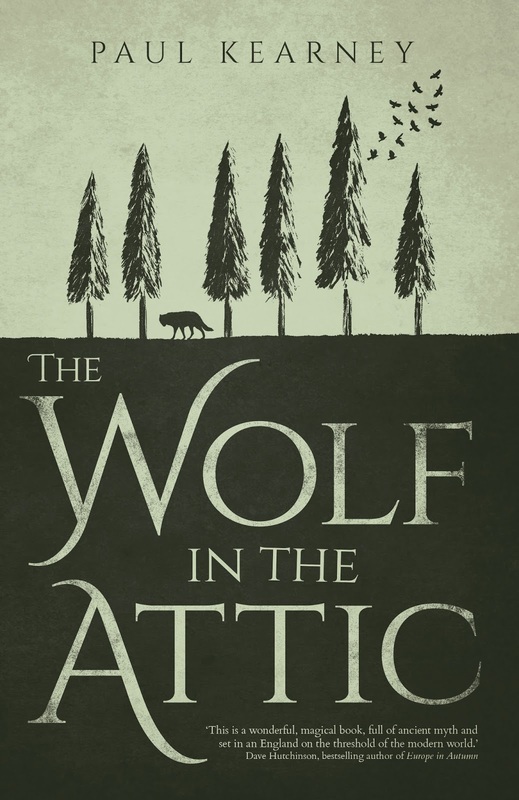 While very different from Monarchies of God and the Ten Thousand series (my two favorites), Wolf in the Attic is a beautiful story. Evocative and poignant (and other words my thesaurus mentions), this novel should create that same alchemy with other readers as it did with me. Thanks Guys. James, I very much appreciate your kind words, and am glad you liked Wolf. I seem to have attracted a whole different audience with this book, and it's been interesting. Guy Gavriel Kay photo contest!